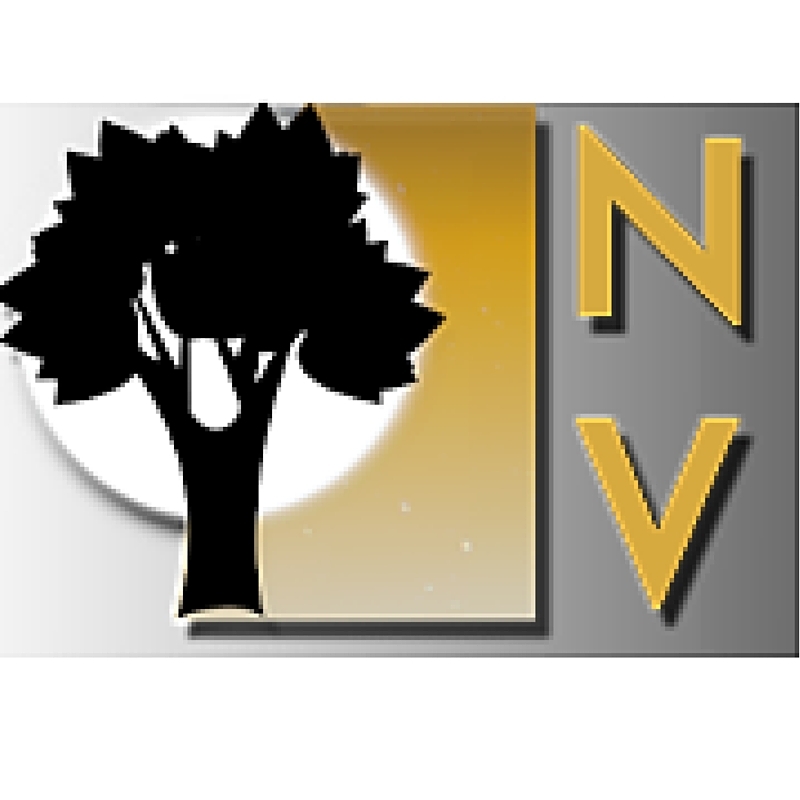 Two neighboring communities connected by the Northern Strand Trail joined forces to clear overgrown brush and overblown trash for their Earth Day efforts on April 23. Over 100 people from Malden and Everett gathered under stormy skies. Tee shirts were handed out as people signed in. Spirits were high as progress was observed and tallied. The Friends of the Malden River revived a previously constructed rain garden at the Everett end of the Northern Strand Trail. Walk or ride to the Everett trail head of the Northern Strand Trail to learn about the benefits of rain gardens and to see the beauty of natural ways to keep our rivers clean. 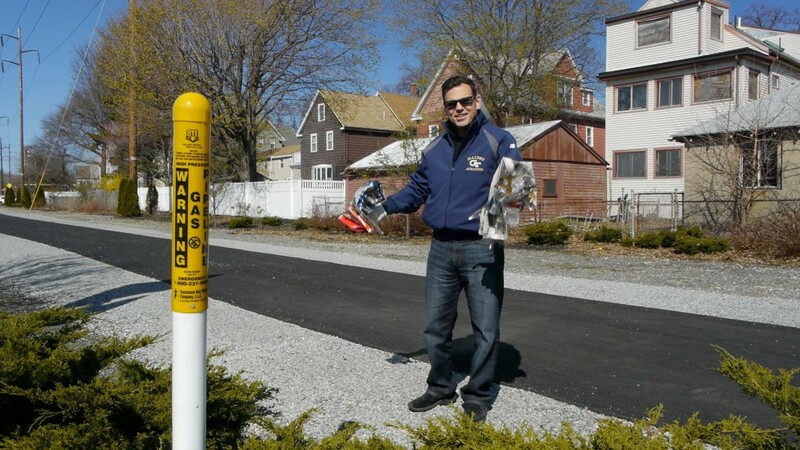 (Photo by Clay Larson of Groundwork Somerville and Bike to the Sea Organization). 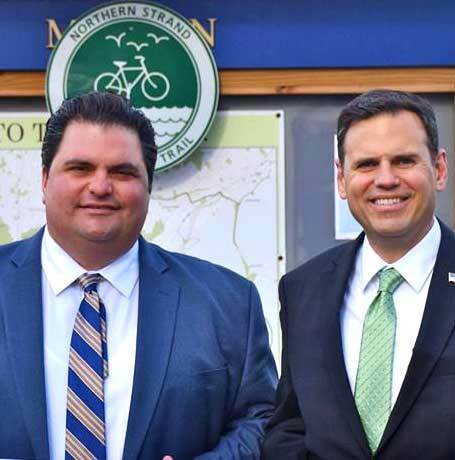 Everett Mayor Carlo DeMaria (left) and Malden Mayor Gary Christenson met recently to promote the trail cleanup day.